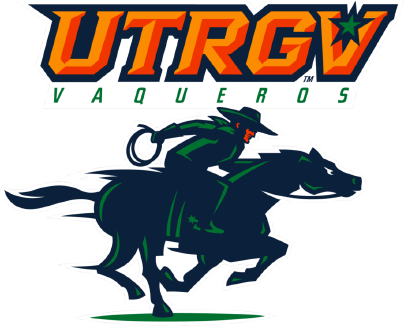 EDINBURG — The UTRGV baseball team picked up a pair of wins to remain undefeated on the young season, beating Stephen F. Austin 6-4 and Central Michigan 6-3 on Saturday at UTRGV Baseball Stadium to move to 3-0 in the Al Ogletree Classic. The Vaqueros posted three two-run innings to get past the Lumberjacks in Saturday’s first game. Sophomore Elijah Alexander went 2 for 4 with a home run, three RBIs and one run scored. Junior Anthony Gomez posted his second-career four-hit game, going 4 for 5 with one run scored. Sophomore Tyler Torres finished 2 for 4 with two RBIs. UTRGV took a 2-1 lead in the first on an RBI double by junior Aaron Dees and an RBI single by Alexander. Torres extended the lead to 4-1 in the third with a two-run single. After SFA tied the game, Alexander hit a two-run home run in the seventh to give UTRGV the lead. That made a winner of UTRGV junior pitcher Chase Adams, who allowed four runs on seven hits and two walks against seven strikeouts in seven innings. Junior and McAllen Memorial graduate Juan Carreon II pitched two scoreless innings of relief for his first save. Against Central Michigan, senior and PSJA High graduate Jorge Flores pitched four no-hit innings, racking up four strikeouts against three walks. Carreon threw three innings of shutout relief, yielding three hits and a walk while striking out three. Torres singled home a run in the second as part of his third straight multi-hit game to open the year. He finished 2 for 3 with a walk. Alexander also notched another multi-hit outing, going 2 for 4. UTRGV added five runs in the seventh on a wild pitch, a three-run home run by junior Ryan Fish, and a single by junior Roger Varela. CMU scored all three of its runs in the eighth inning before junior McAllen Rowe graduate Ryan Jackson pitched a scoreless ninth, including one strikeout, for his first save. UTRGV closes out the Al Ogletree Classic at 3 p.m. Sunday against Stephen F. Austin.